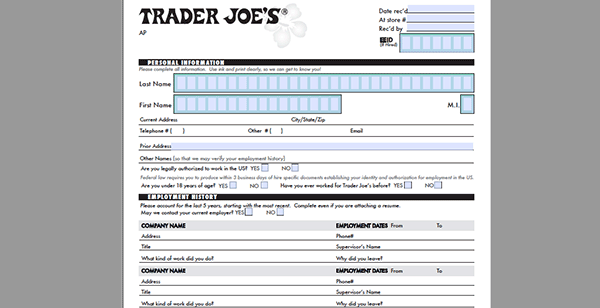 Use the link at the top of this page to download the Trader Joe’s job application as a .PDF file. 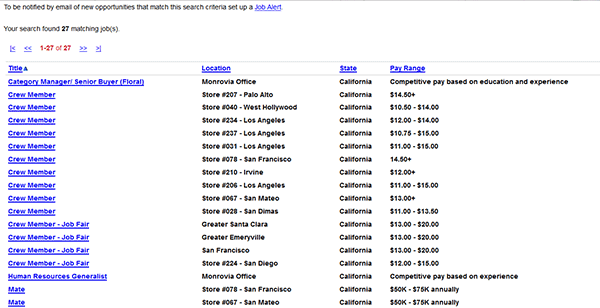 You can also search and apply for jobs on the company’s employment site. The instructions in the sections posted below go over the online job search/hiring process, as well as how to complete the printable application. 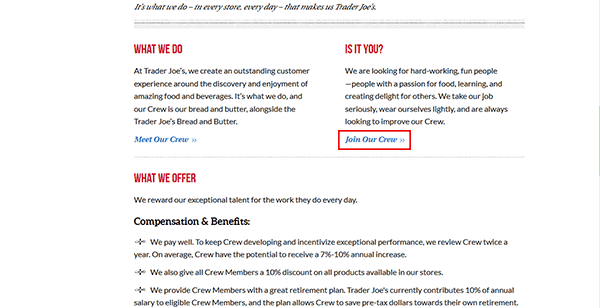 About the Company: Trader Joe’s is an American supermarket chain based out of Monrovia, California. The company has over 450 locations throughout the country and employs over 38,000 people. Step 1 – Click here to go to the company’s careers page. 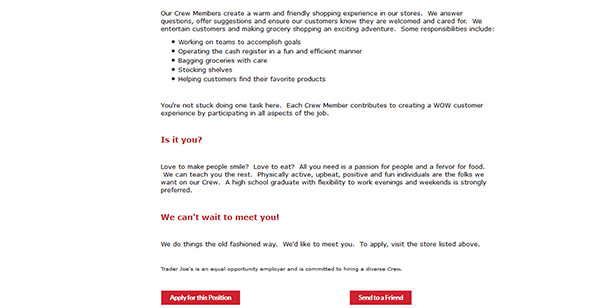 Step 2 – Scroll down the page and hit the “Join Our Crew” link. 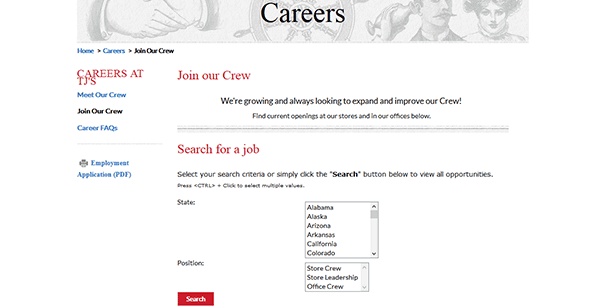 Step 3 – Search for open positions by selecting a state/position and then hitting the “Search” button. Step 4 – Scroll down the page to view the results. When you’ve found a job that you want to apply for click its title to learn more about it. Step 5 – Read the job description, duties, etc. and then press the “Apply Now” button near the bottom of the page. Step 6 – If the location you’re applying to accepts online applications you will be able to submit one. Certain locations only accept applications in person (if this is the case use the download link on this page to download the official form). Step 1 – Download the .PDF file via the link at the top of this page.